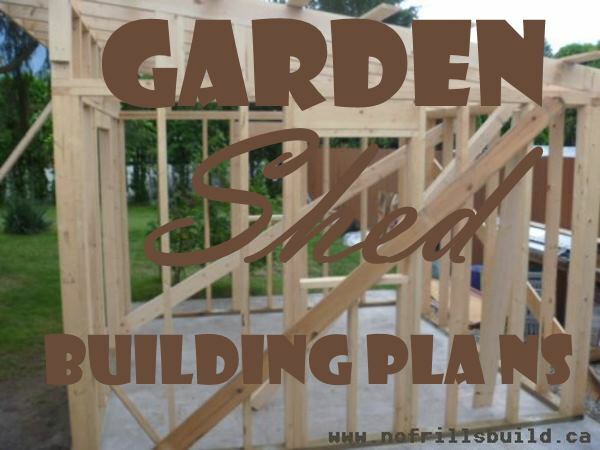 There is no one size fits all garden shed building plan; so much depends on your site, and what you want to use the shed for. The site itself; is it flat or sloped? What kind of soil do you have; rocky, gravelly and well drained? or muddy with a clay base? Is it close to your garden so you can store materials and tools in it? What kinds of building materials do you want to use; recycled or salvaged? Or new? Are these materials locally available, or do you need to order them in? All of these factors come into play in a unique combination; your site will be completely different from anywhere else. Your building plan will be different if you have someone else contracted to build it - by necessity, this will entail more details. The flying by the seat of the pants method is all very well if you build your own sheds, but not so much if you want someone else to build it for you. The garden shed above was built on an existing concrete pad. This is a different kind of construction than if you build on footings or pilings. Deciding where to build the shed is important; will snow fall off the roof and damage anything, or create a hazard? Where will the doors and windows go, so that it has easy access, light in the interior and so on. Is there good drainage by the door or will you need to put in some Big-O pipe to drain excess water away? Some of my sheds have been more successful than others - I've used almost every technique there is to build them. Got salvage? 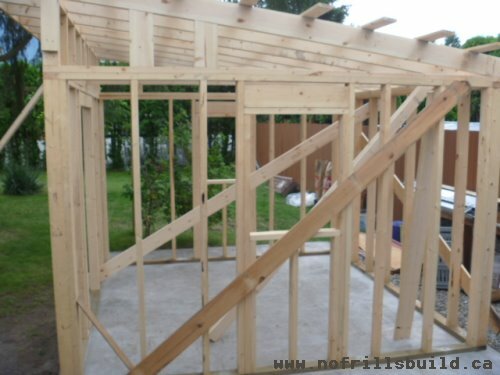 Build a shed!